Rated 5 out of 5 by insaneheadspace from I'm hooked - bring on the next in the series! I actually started with a trial of the second in this series, Bane of the Family. Once I figured that out, I went back to the beginning, with Curse of the Full Moon. Loved this game for many reasons: the story is intriguing and suitably werewolf-y :) ; the graphics were good (I will note there are some images of werewolf attacks that might not be suitable for kids) ; the challenges and object finding/using were a nice balance of ease and tricky, which kept me entertained. I was trying to pick which chapter of the game was my favourite - and I just can't; all the chapters flow so well together! Curse of the Full Moon got me hooked - I immediately bought the next to games to play! Rated 5 out of 5 by rosekaufmann from WELL THAT WAS A SURPRISE ENDING SUMMARY: Almost 5 hours of gameplay on casual mode. You are engaged by the prefecture to determine if the rumors of a werewolf murdering innocents is true? You have a journal and the blessing of the prefecture in your investigation. Additional pages are added to your journal as you progress, giving you hints on what to do next if you need it. There are a limited number of locations, so a map is not necessary. You find the answer to your investigation, but I don’t know exactly what happened to the antagonists – that’s likely answered in the bonus play of the CE. OTHER STUFF: PUZZLES: Doors are opened by puzzles and give you a new area to explore. They are mostly the standard puzzles, sliding, tile swapping, a few are unique. Challenge varies from very easy to mildly complex. HOS: Are list based and -there are more in the 2nd half of the game. The scenes almost look hand-drawn and sometimes it is moderately challenging to find all the objects due to the color palettes used (i.e., it is not challenging because items are tiny, which I don’t think of as challenging at all, but some developers apparently do). So the HOS were fair. ANIMATION: is good, including creepy shadows that crawl across part of the screen you are investigating. GRAPHICS are lovely in a detailed natural country town scene way (i.e., they are not breathtakingly colorful) but realistic color combinations. Very nice game. 4 1/2 stars which I rounded up because it was a logical and fairly lengthy game play. Rated 5 out of 5 by luckaysevin from Love the series!! I bought this at Walmart,after reading a review from you. I had to have it! Excellent game! Rated 5 out of 5 by JoleneMc from Fun & Good Graphics Considering this was not a "Collectors' Edition", I was amazed at how enjoyable this game was. It didn't feel as though it was shorted on anything. 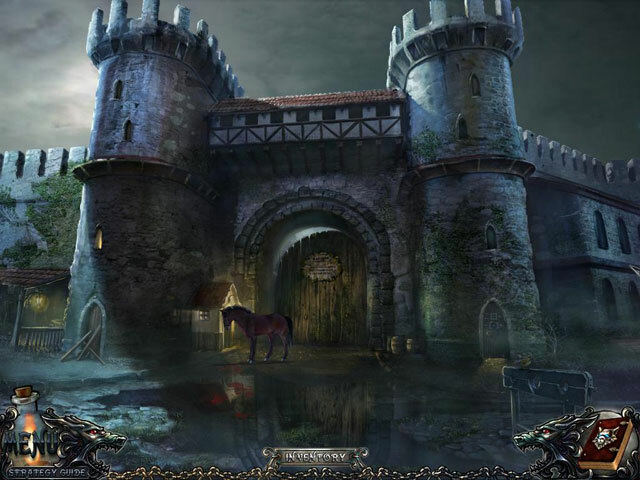 Rated 5 out of 5 by willowrt from Amazing hidden object game This game really does work your brain and help with memorization. Rated 5 out of 5 by timtim135 from get ready for a full moon tonight! I played the demo to this game and I really enjoyed it. the graphics were extremly well done, storyline was great and the voiceovers were spot on. I purchased the Full moon as a bundle one day, just the SE. Of allof the three Wolf Mystery games, the Full Moon is the best in my opinion. I'm so glad i bought this game, and you will to if your a fan of detective/mystery games like myself!! Rated 5 out of 5 by hbgroadends from An excellent game by ERS ERS has put out yet another fine game for players. 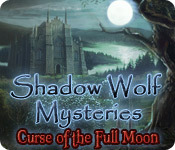 Personally, I think this Shadow Wolf Mysteries game is better than some of their other collections. The voice overs were well done, the story line intricate, and most of all, the music wasn't has annoying as it is in some of their other games. The HOG scenes are typical junk piles, but the items are clear enough to find. 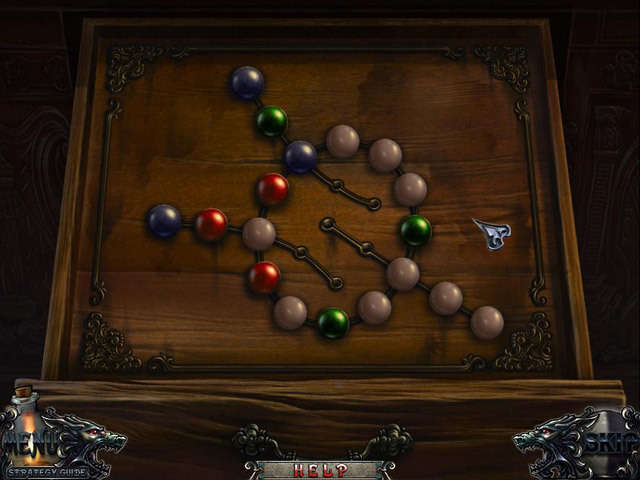 There were some standard puzzles as well as some new ones, making the game challenging yet not impossible to beat. This game wasn't overwhelmed with HOG scenes which, as someone who tires of too many HOG scenes after a while, it was a perfect balance for me. I had to look at the walkthrough only once during the game, so the flow is logical overall. All in all, an excellent game. Rated 5 out of 5 by game_happy from HOWLING ENJOYMENT Just finished playing this game and loved it. Everything about it was great. Only annoying factor was the constant "ahhh", a sigh of relief, every time I added an object to my inventory. Believe me, I was happy to find these items myself! LOL Will now start playing another Shadow Wolf Mystery. Rated 5 out of 5 by bfeve from Great game I always play on hard and found it more difficult and challenging. Graphics were excellent as I like them. Enjoyed it thoroughly. 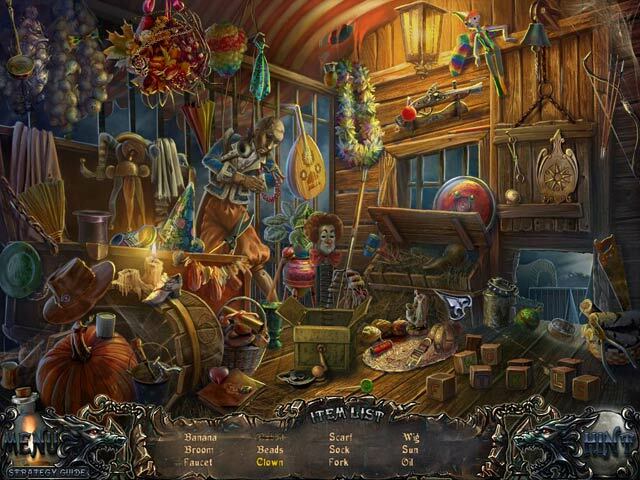 Recommend to all officinardos of hidden object gamers.